Crane rental company Skylift Crane Services is the latest Australian business to invest in the increasingly popular GMK4100L-1 from Grove’s long-boom series of all-terrain cranes. At just 2.55 m wide and 13.42 m long, the crane is easier to maneuver than five-axle alternatives, yet its 100 t capacity and 60 m Megaform boom mean it has the strength and reach to take on lifts more commonly associated with larger cranes. 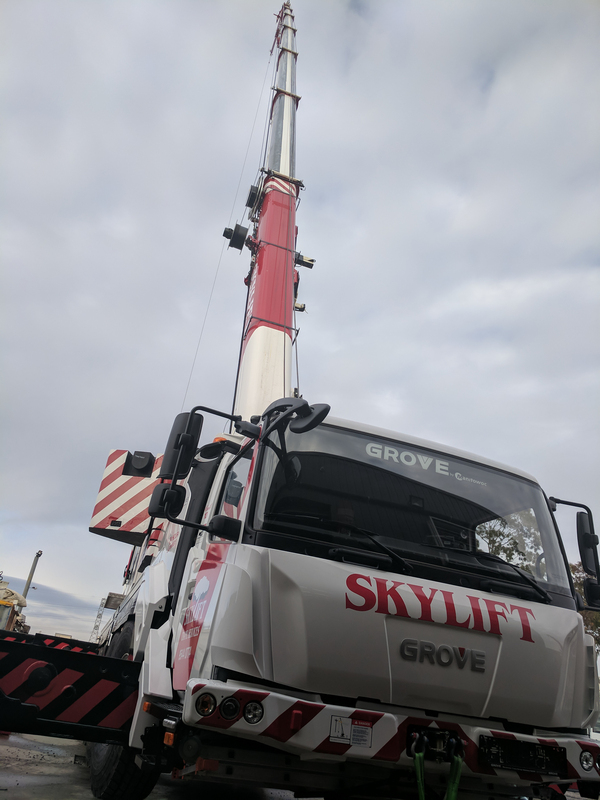 Skylift Crane Services purchased the four-axle GMK4100L-1 after many years of success with an older, five-axle Grove crane. The crane offers greater accessibility without sacrificing lifting ability. Skylift Crane Services considered the addition of the four-axle GMK4100L-1, having enjoyed 11 years of productive and profitable performance from a five-axle GMK5130-1. 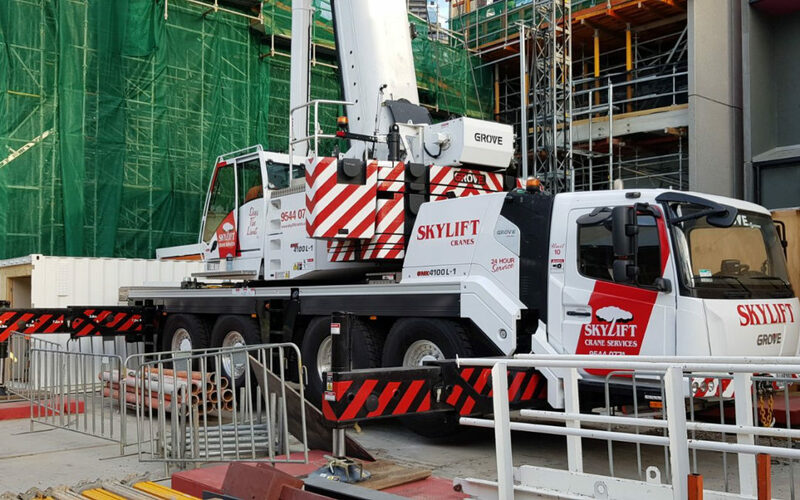 The reliability of the 130 t machine convinced Skylift Crane Services to again look to Grove, but this time the company wanted a more compact machine that could cope more easily with the congested sites of downtown Melbourne. Dave Bresnehan, owner of Skylift Crane Services, said the GMK4100L-1 has the versatility to fit on any range of urban projects. With its jib attachments, maximum tip height on the GMK4100L-1 is 89 m, while its single engine design means the roadable weight can be as low as 45.8 t. The crane also features Manitowoc’s Crane Control System (CCS), which Bresnehan highlighted as a standout feature. “The CCS is very well-designed and the controls are easily accessible,” he said. CCS also enables the GMK4100L-1 to be fitted with MAXbase, Manitowoc’s outrigger positioning technology that enables them to be set in various configurations. This new feature is something Skylift Crane Services hopes will improve versatility even further. Andrew Gray, sales manager for Manitowoc in Australia, said ongoing urban development in Australia made the GMK4100L-1 an attractive choice for rental companies. Since joining the 16-strong fleet of Skylift Crane Services, the GMK4100L-1 has been kept busy, regularly changing job sites and working up to five days a week. Skylift Crane Services was founded in 1997 and remains a family-owned business, serving the Melbourne area.